Come and join Chantal & Gareth for a 5 night yoga break at the stunning Tigmi hotel near Marrakech. This is your opportunity to get away from the hustle and bustle of daily life and retreat to your home away from home Moroccan style! Tigmi has been the called the 'best little hotel in the world' and is situated between Marrakech and the Atlas mountains. 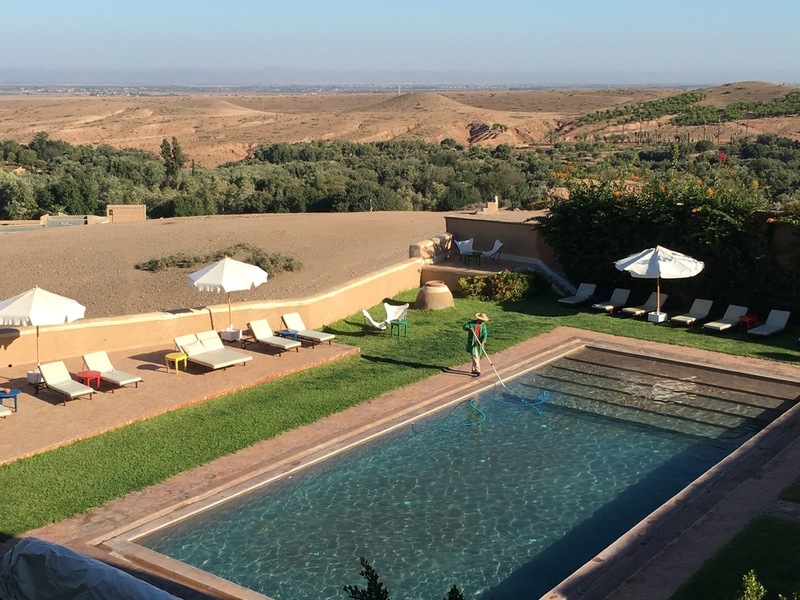 Tucked away from the hubbub of Marrakech on the outskirts of a traditional Moroccan Berber village, you’ll find a retreat hotel that will redefine your idea of relaxation. Tigmi is no ordinary hotel. Meandering corridors and courtyard paths lead to beautifully furnished rooms, all with ensuite bathrooms. With two pools to chill out by after yoga or lunch you can also take time to explore the charming gardens and discover Tigmi’s quietest corners. After sunset enjoy traditional Moroccan cuisine, maybe a glass of wine with the snow-capped Atlas mountains and the lights of Marrakech as a backdrop. The word 'oasis' is often misused, but in the case of Tigmi it is apt. Approaching along a very bumpy track you could be forgiven for thinking your driver has taken a wrong turn - but once inside Tigmi's red walls, your normal busy life and the bustle of Marrakech traffic begins immediately to fade. Within hours you'll start to relax and after a few days you are moving only as fast as Tigmi's resident tortoises! We start the yoga practice on our first evening with a session to stretch out those tired muscles after travelling and to prepare you for a good night’s sleep! All yoga classes will be mixed ability so suitable for beginners and more experienced yoga practitioners with a final class on the evening of the 24th October. 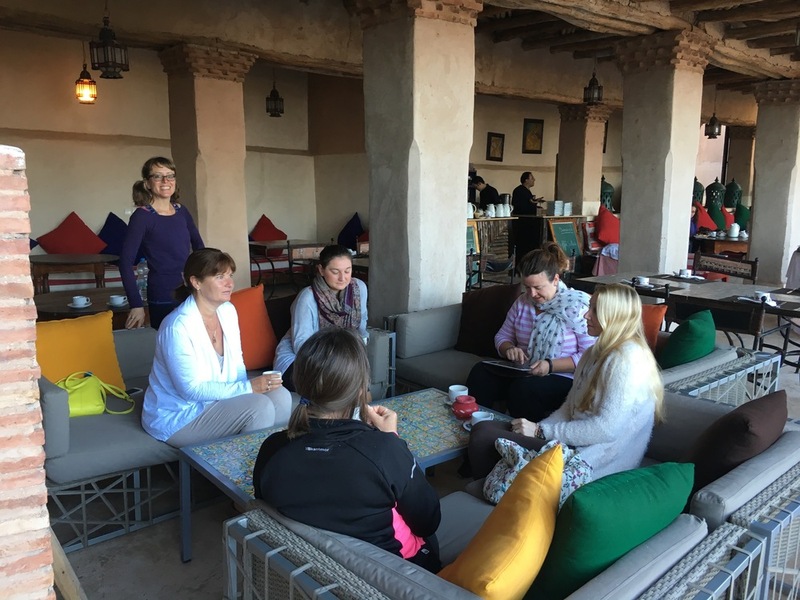 During the rest of the week, yoga will be twice daily 8am - 9.30am and 5pm - 6.30pm with the daytimes being left free to have a wonderful treatment at the Hammam, a traditional Moroccan spa, (highly recommended by Chantal! ), take a walk in the the surrounding countryside or just laze by the pool and watch the resident tortoises get on with their day! 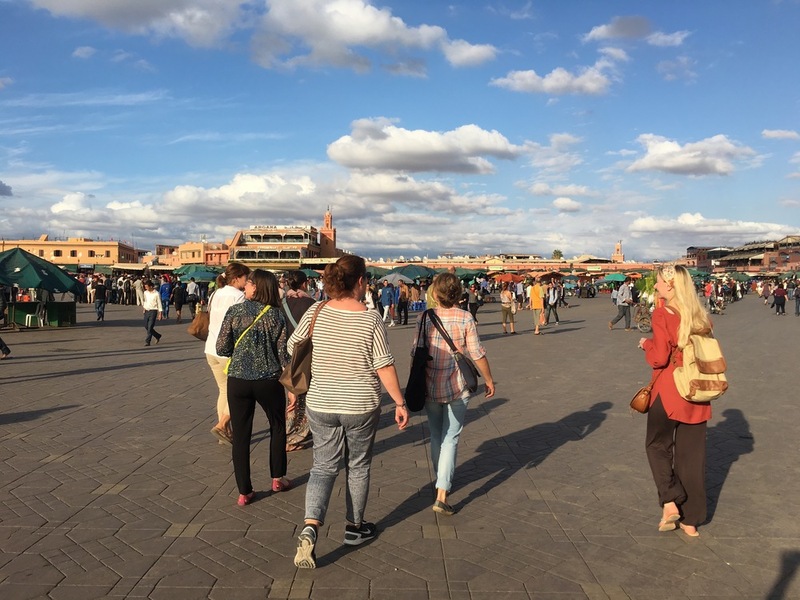 One of the days, after lunch, we'll take a trip into Marrakech to visit the souks and to see the wonderful Jemma el-Fnaa square come alive in the early evening with snake charmers, storytellers and stalls! The meals are traditional Moroccan fare cooked up by the friendly and always smiling chef! Before yoga in the morning, teas and coffee are laid out for us in case you can’t do without! Breakfast (after yoga of course) consists of fruits, omelettes, hard/soft boiled eggs and traditional pancakes and breads. Lunch is a wonderful buffet display of lots of varied and tasty salads eg, a feta cheese and olive salad, potato salad with spices, Moroccan style pizzas, anchovies, stuffed artichokes and various salad leaves and the like! Dinner is 3 courses with meat, fish and vegetarian options depending on what’s in season and what you’ve opted for in advance. Gluten and dairy free options can be arranged. We’ll send you the booking form and health questionnaire, both of which we will need returning along with a non-refundable deposit of £295 to secure your place. If you are transferring payment from a non UK based account there will be an additional £20 charge. N.B. we strongly recommend that you take some kind of holiday insurance that would cover you if you had to cancel after placing your deposit. 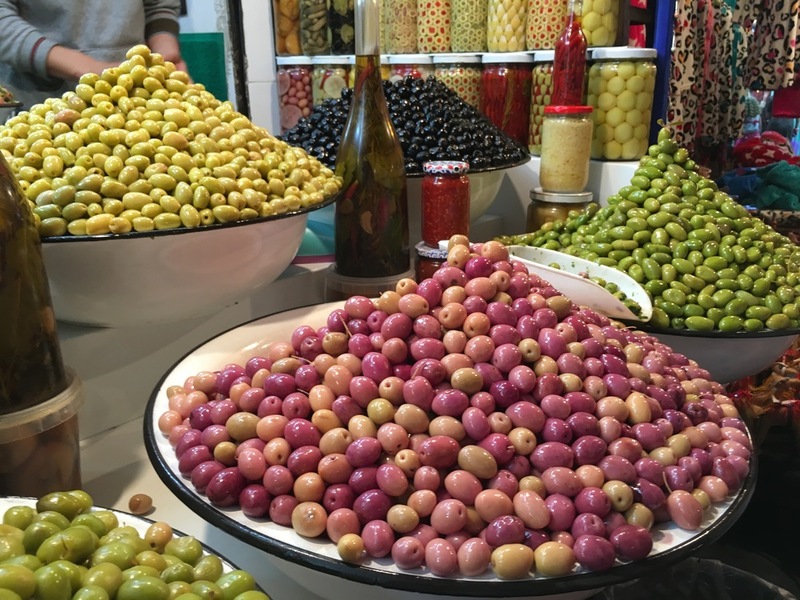 HOW WAS IT FOR YOU IN MOROCCO? Tigmi is an exceptional location! 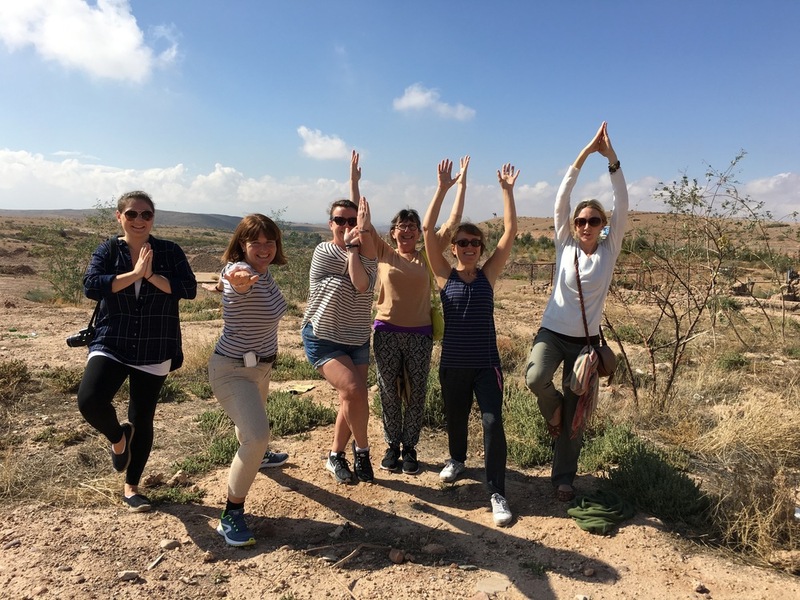 “With a sense of trepidation I booked my first yoga trip to Morocco. Everything from the outset was seamless, Chantal gave me regular updates, the only thing I had to do was pack a bag and book my flights!! I had an amazing time, with fun, interesting and like minded people!